Ben Walters looks at the genesis and the unusually potent effects of the hit comedy, drawing on extensive interviews with those most closely involved. Ben Walters looks at the genesis and the unusually potent effects of the hit comedy, drawing on extensive interviews with those most closely involved. When The Office first aired in July 2001, it attracted a tiny audience and BBC2's lowest approval rating of the year (apart from Women's Bowls). Some early viewers even failed even to identify the series as a comedy - and not without reason. Set in the banal environs of a Slough paper merchants and presented in deadpan 'docusoap' style, it was built around neither one-liners nor farcical set-ups, but the painfully observed minutiae of boredom, frustration and embarrassment. Not much happened, and what did - centring on the self-serving posturing of middle-manager and would-be entertainer David Brent, and the simmering flirtation between employees Tim and Dawn - was often excruciatingly uncomfortable to watch. Yet two series and a feature-length special later, The Office has broken DVD sales records, won dozens of awards, played in over 60 countries and been remade by a major American network. 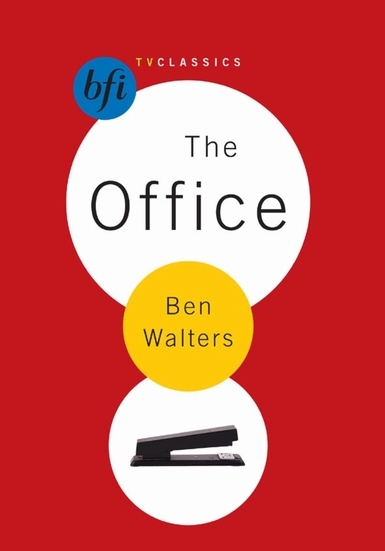 In the first full-length study of the show, Ben Walters traces its unorthodox journey to the screen, drawing on extensive interviews with those most closely involved in its production, from novice writer-directors Stephen Merchant and Ricky Gervais (who also played David Brent) to BBC2 controller Jane Root. The book also explores the series' unusually potent effects, from its attention to the discontents of contemporary working life to its sophisticated melding of docusoap and sitcom conventions. A television comedy about television and about comedy, The Office is more as well: alive to the pressures of constant surveillance - whether by colleagues or the camera - it lays bare a turn-of-the-century culture in which wage-slave and wannabe are one and the same.